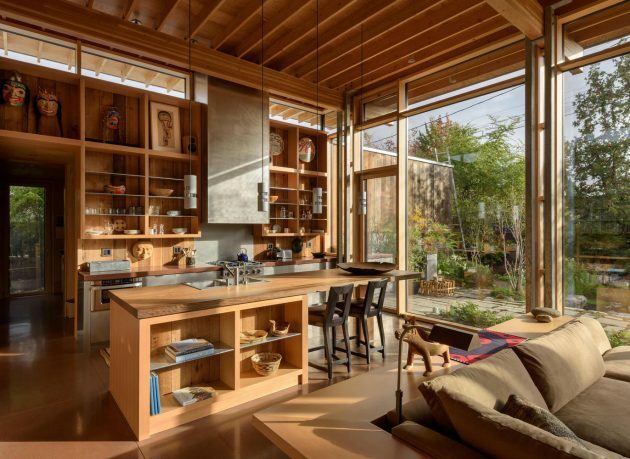 Olson Kundig is probably a studio that you are already familiar with, after all, we’ve featured quite a lot of their projects such as the Sawmill Retreat in California or the Cabin at Longbranch. 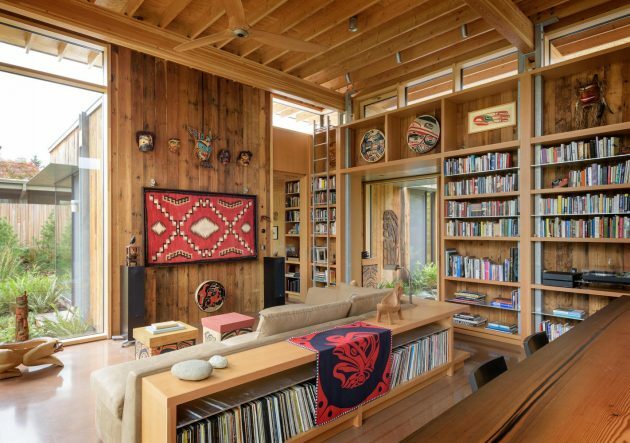 This time we’re going to show you another one of their projects – the City Cabin in Seattle, Washington. 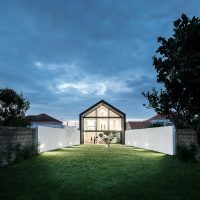 It is a 2,400 square foot home with a compact, two-bedroom layout. 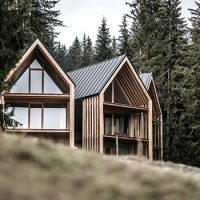 The City Cabin is an urban version of a mountain cabin that is definitely unique in its neighborhood. 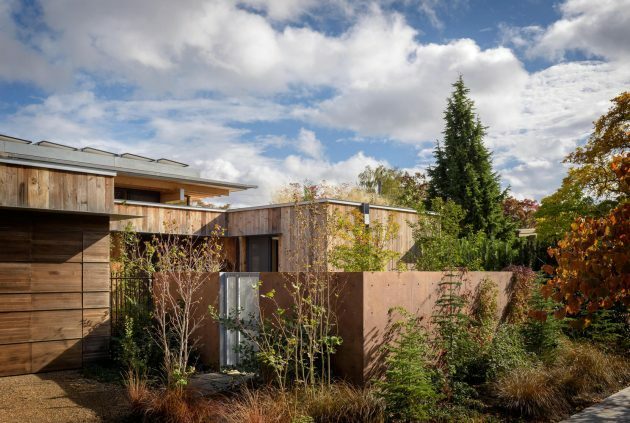 Located in one of Seattle’s most established residential areas, City Cabin’s design answers the client’s desire for a private urban retreat that would connect her to nature. 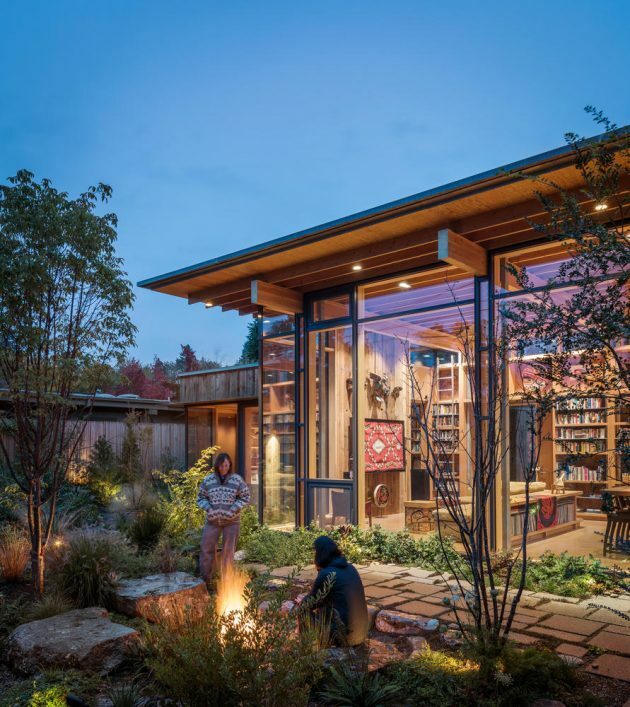 Siting the 2,400-square-foot house on the northwest corner of the lot maximizes garden areas on the south and east sides. 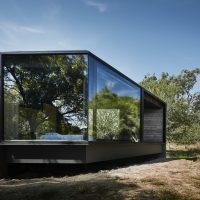 The home’s staggered footprint allows for more glazing, which increases sun exposure and garden views from every room. 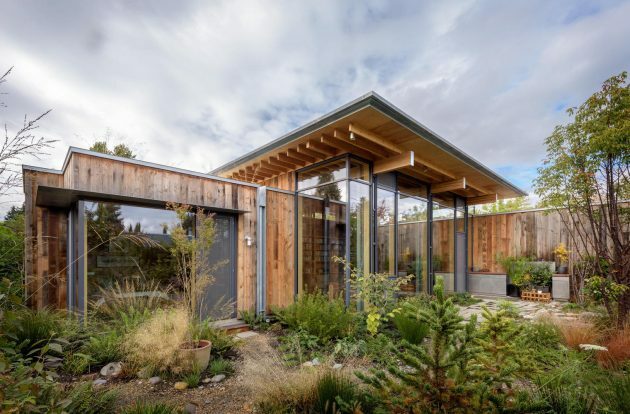 With the goal of net-zero energy use, the home’s design incorporates key sustainability features such as photovoltaic panels and an air-to-water heat pump. 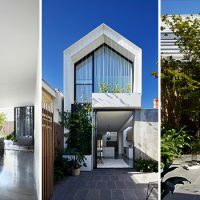 Planting mature trees and dense greenery onto the site helped transform an ordinary urban infill lot into a private refuge. 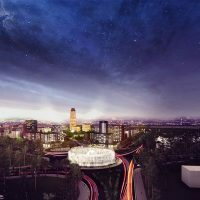 City Cabin is organized around a central gathering space with two wings extending from it: one with the master suite and the other containing the guest room and storage areas. 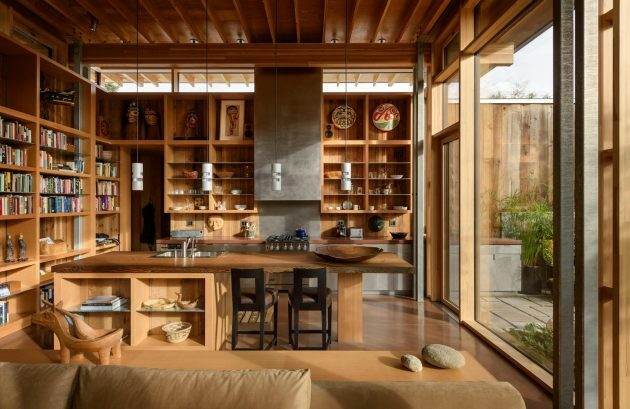 The heart of the home in plan as well as function, the central area, which consists of an open kitchen and living space, is a single volume defined by a 16-foot-high ceiling. 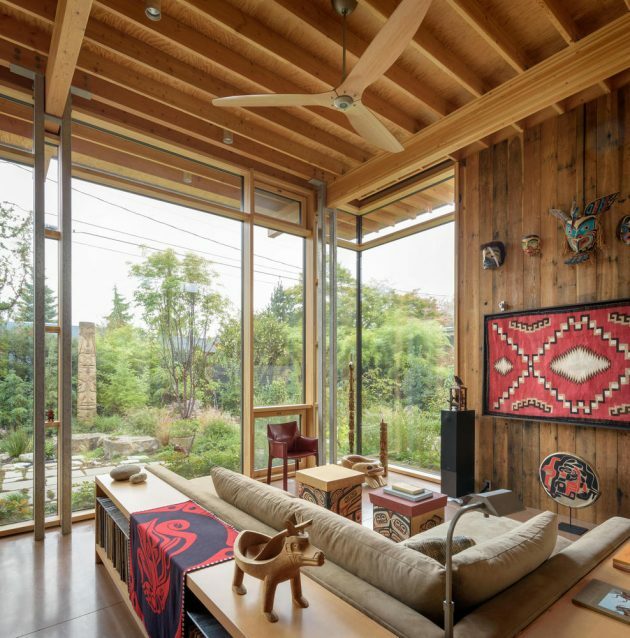 Here, a full-height window wall overlooks the gardens to the southeast, and clerestory windows maximize solar gain and create a sense of lightness while maintaining privacy. 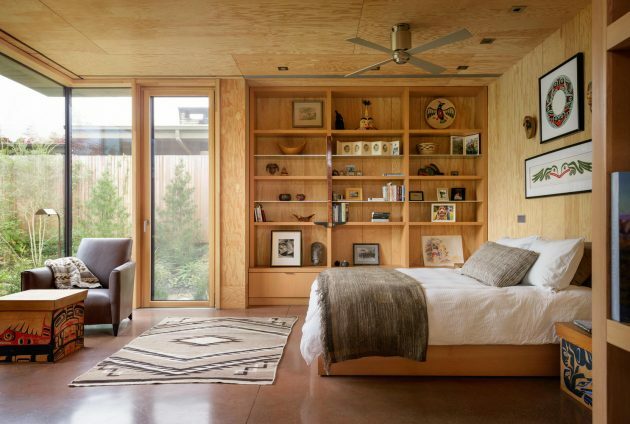 Materials and assemblies were chosen primarily for economy and sustainability, but the palette also draws inspiration from the client’s extensive Native American art collection. 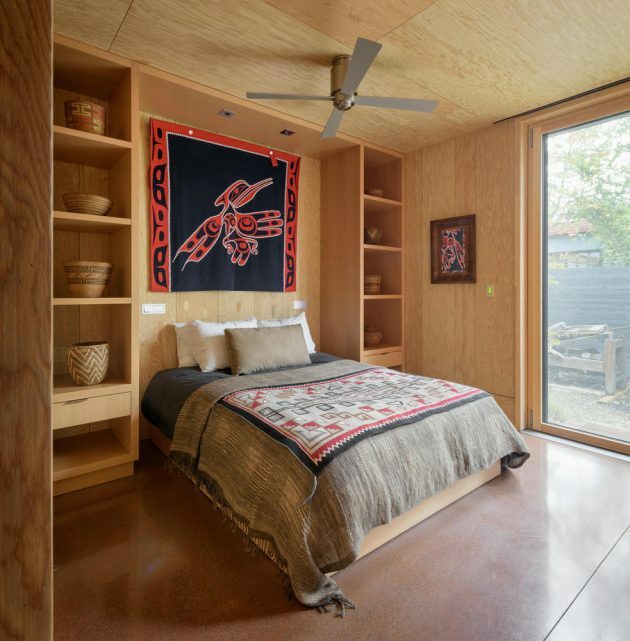 The concrete floors are tinted with a custom red hue inspired by red cedar and ochre colors, while walls and ceilings are made of natural, unstained plywood chosen for its durability and simplicity. 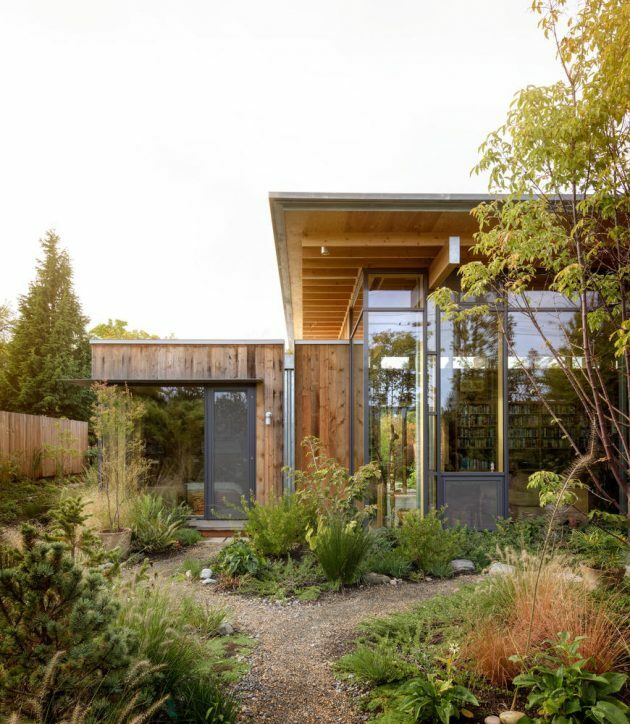 On the exterior, fir siding reclaimed from a nearby fruit storage warehouse will weather naturally with minimal maintenance. 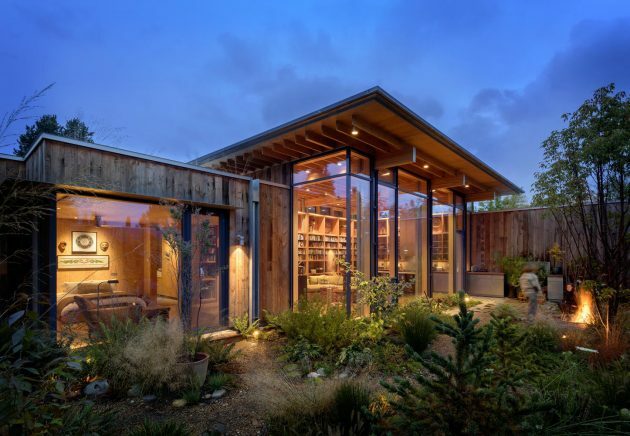 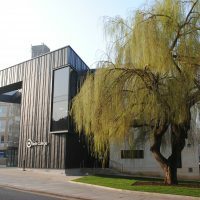 Durable galvanized steel roofing and beam endcaps complement the natural wood finishes, developing a rich patina with exposure. 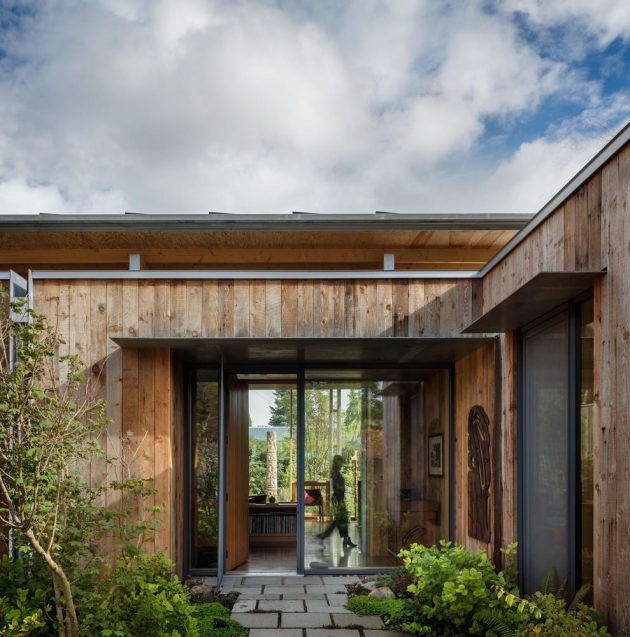 Along with reclaimed materials, the house incorporates several green strategies including a sedum green roof, reflecting the client’s longstanding engagement with environmental conservation.